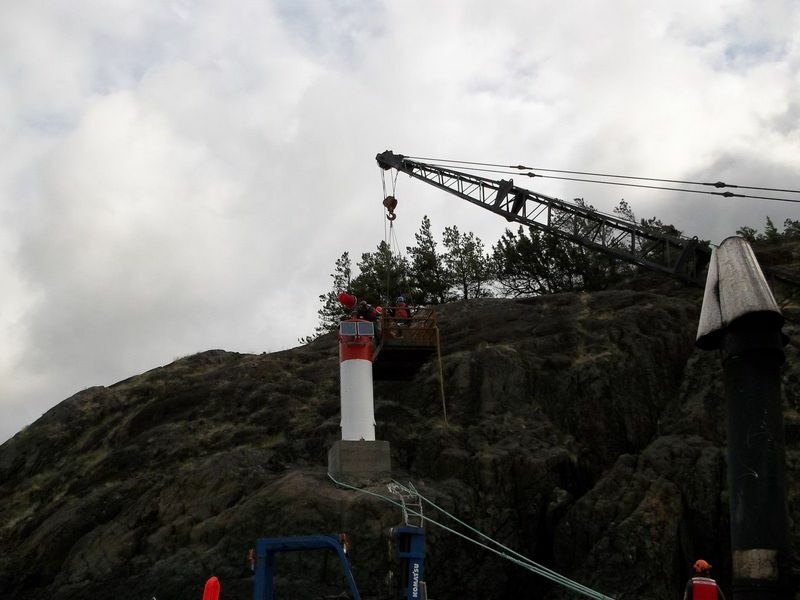 We were contracted to supply support equipment for the replacement of the navigational beacons at Texada Island and in Schooner Cove. 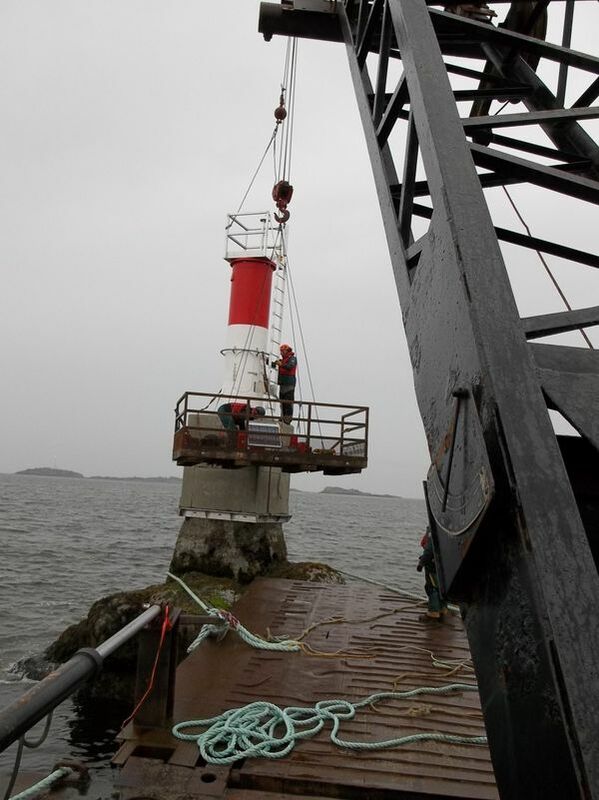 This work was completed in a short window and involved working 24 hours a day over a 5 day period with a tug boat, barge and providing crane support at all times for the crew. 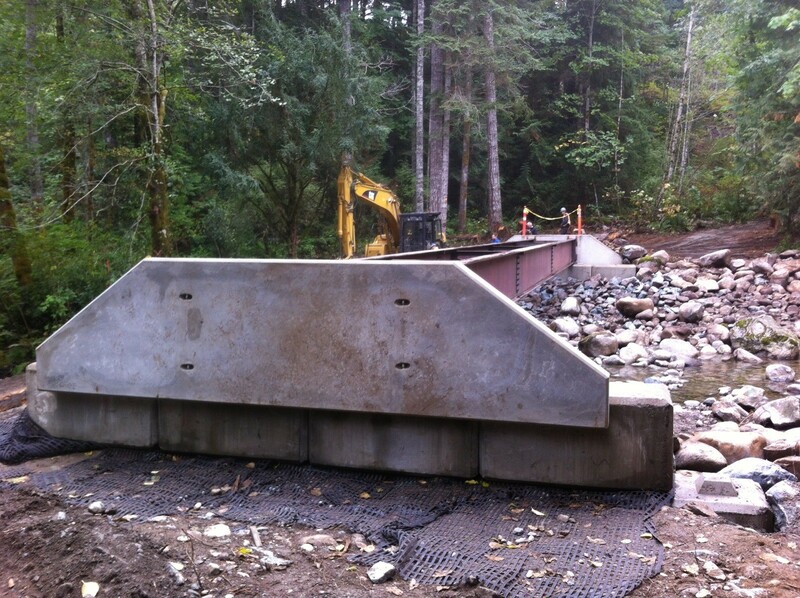 We were responsible for the removal of 4 culverts and the supply and installation of a new 10m precast bridge on lock block footings with lock block retaining walls. 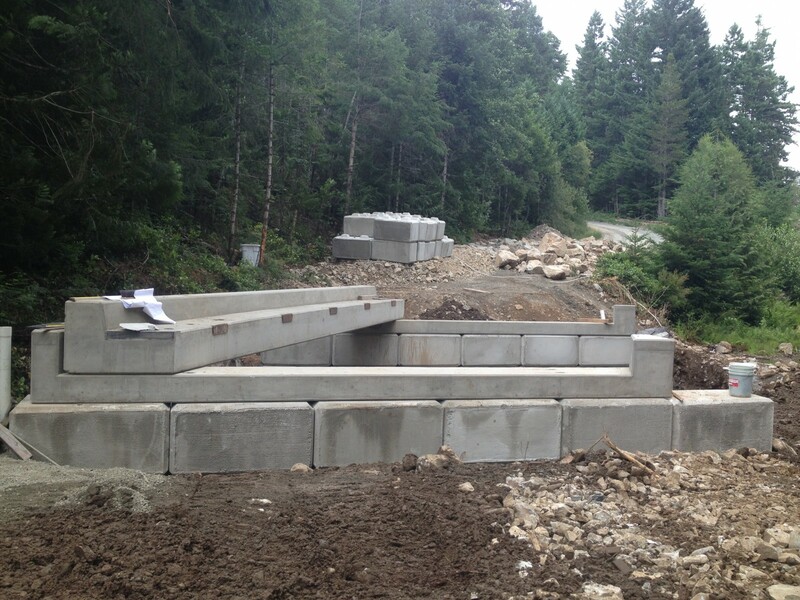 This work was completed in the greater Victoria water shed so strict environmental standards had to be followed, this project was completed ahead of schedule. 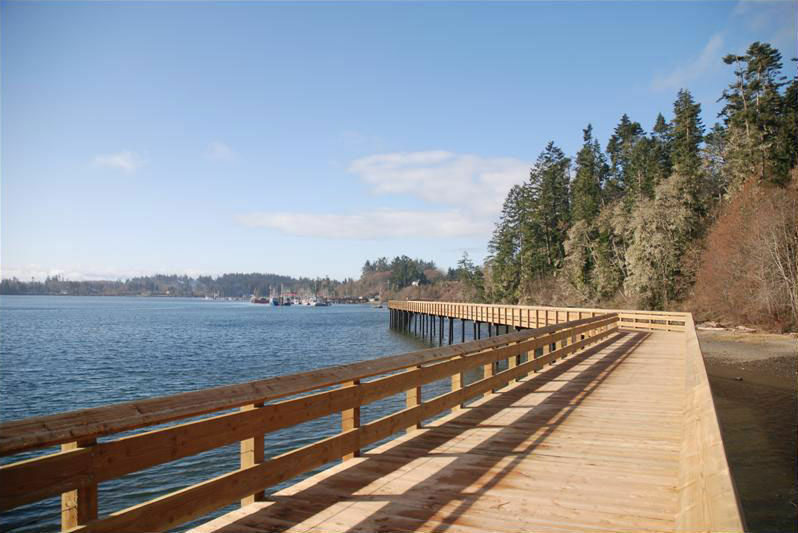 We were awarded the project to complete the restoration and addition to the Davis Bay wharf based on its competitive bid and was also the only contractor able to meet the timeline. 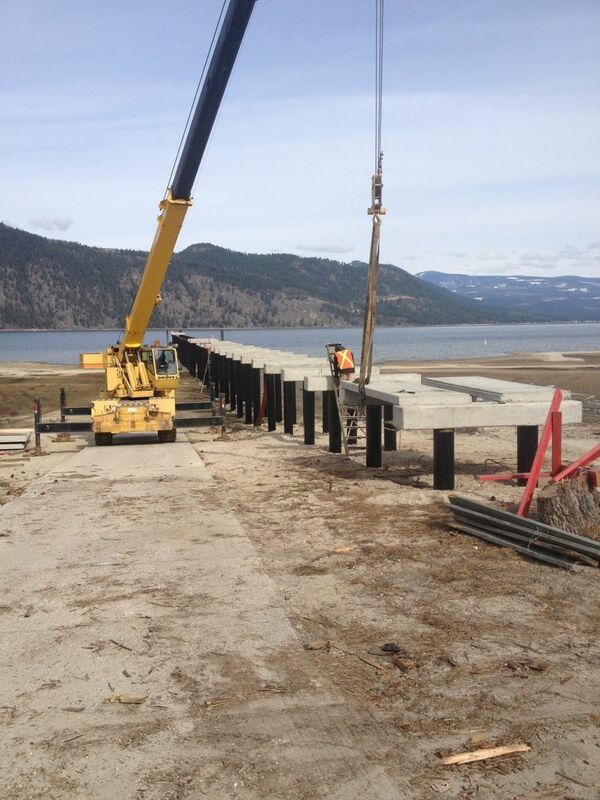 The work consisted of driving new creosote piles and the installation of new pile caps, stringers and decking. 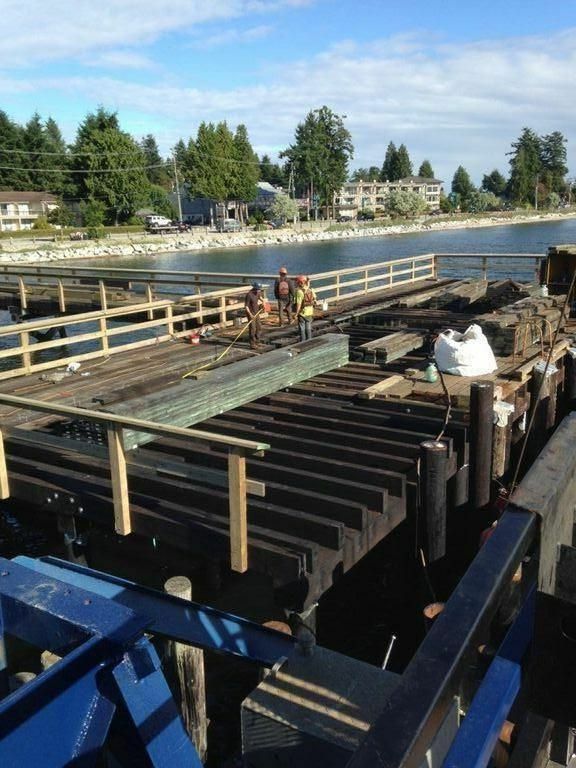 The existing portion has some piles replaced, new caps, stringers and decking as well. 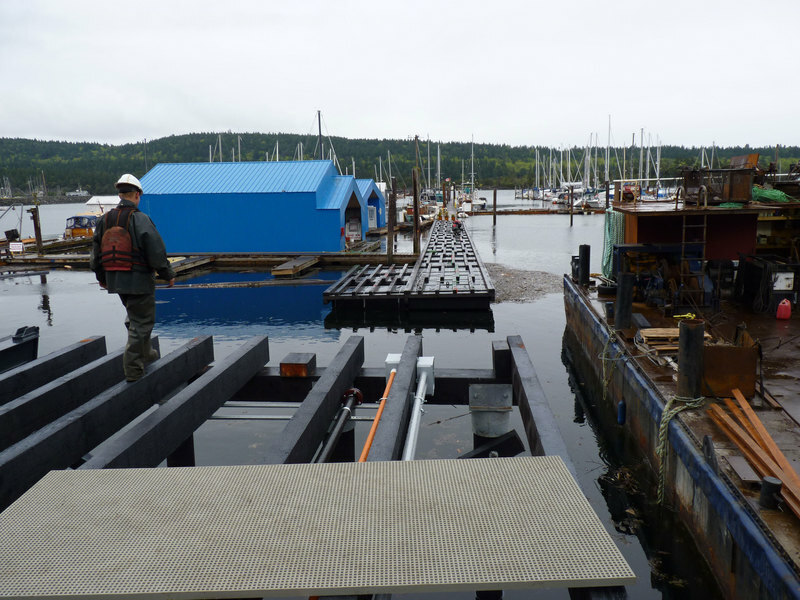 Also in the contract was the supply and installation of a new DPW style float with piles to hold it in as well as a new aluminum ramp. 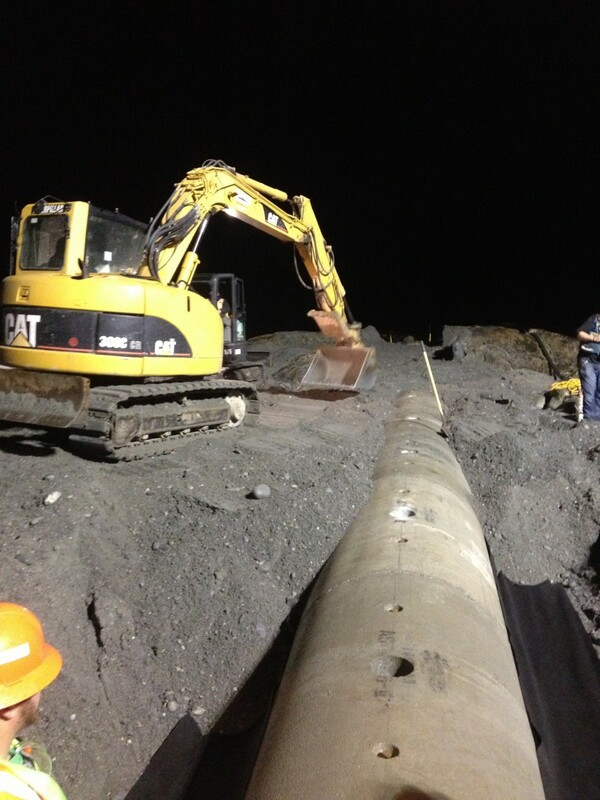 All work was completed on schedule. 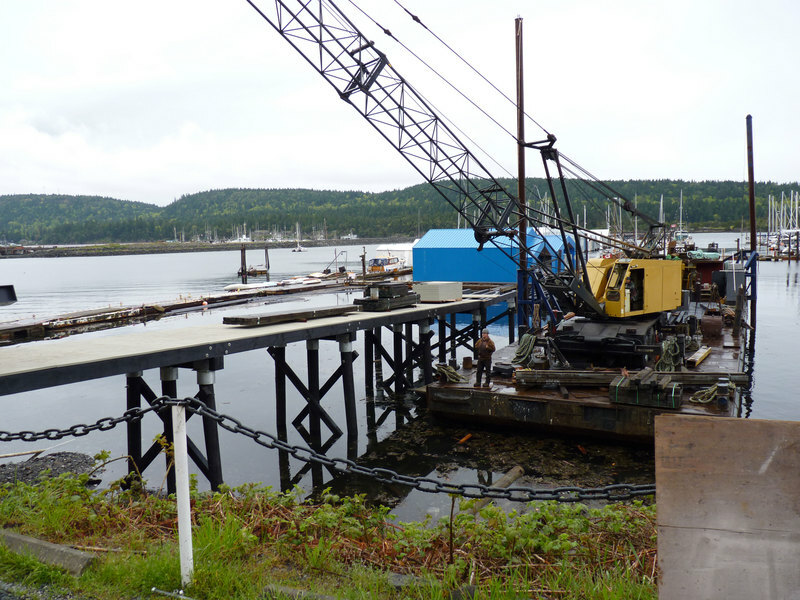 Heavy Metal Marine was responsible for the design build of a pile supported loading platform capable of handling loads up to 100 ton, this is for the use during the demolision and construction phases of the LNG project. 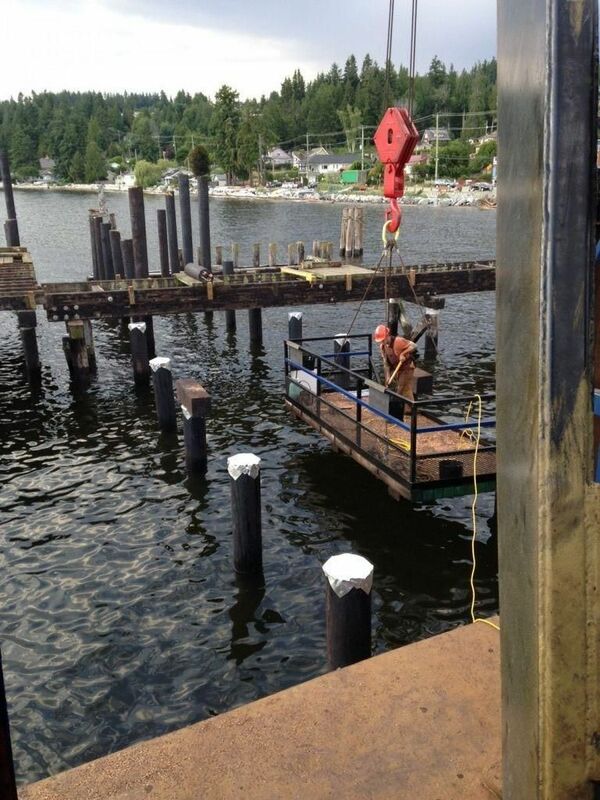 The platform consisted of 24'' steel piles driven to refusal with steel cap beams supporting the timber deck. 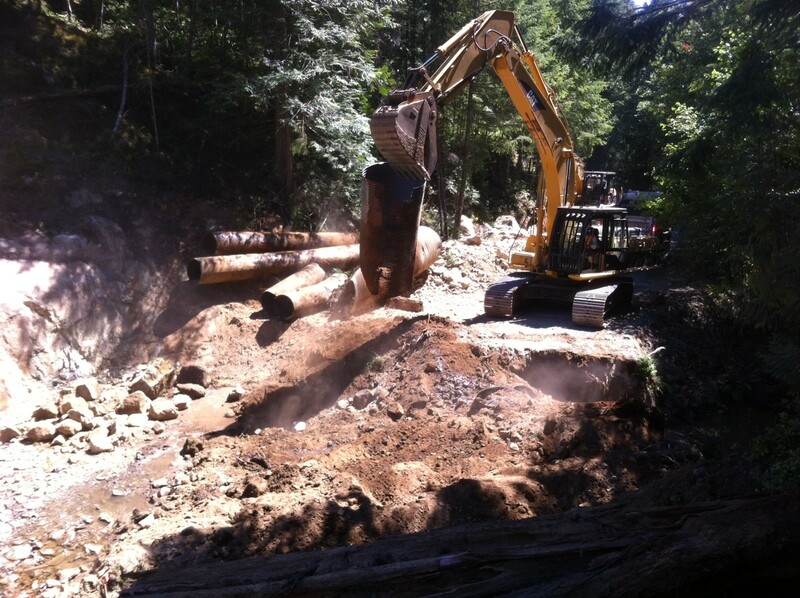 The work was completed on schedule with no environmental or safety infractions. 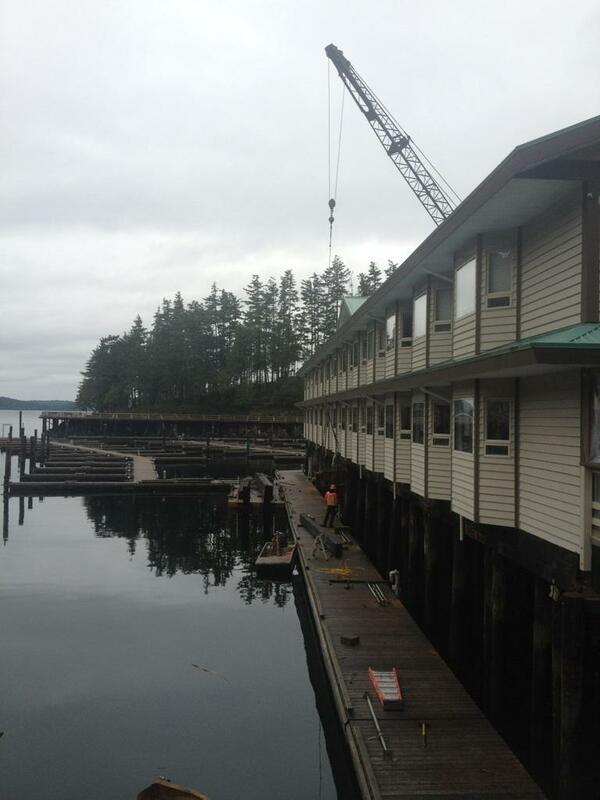 We completed upgrades to the Dockside 29 building substructure to extend its life. 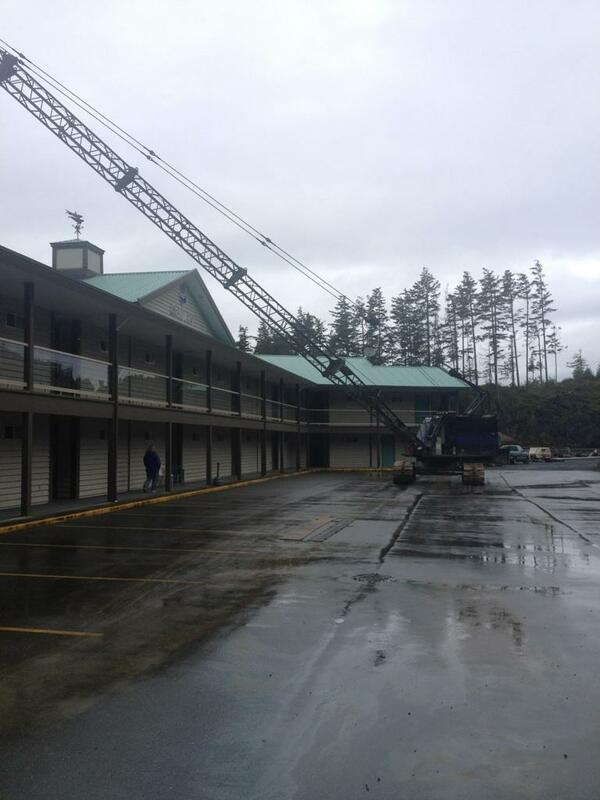 The project had many challenges as the work completed had to be done under the existing structure with a crane reaching over the building. 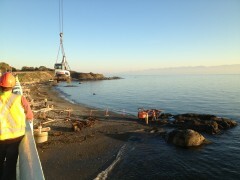 A mini excavator was placed under the structure but could only be done during the tide windows. 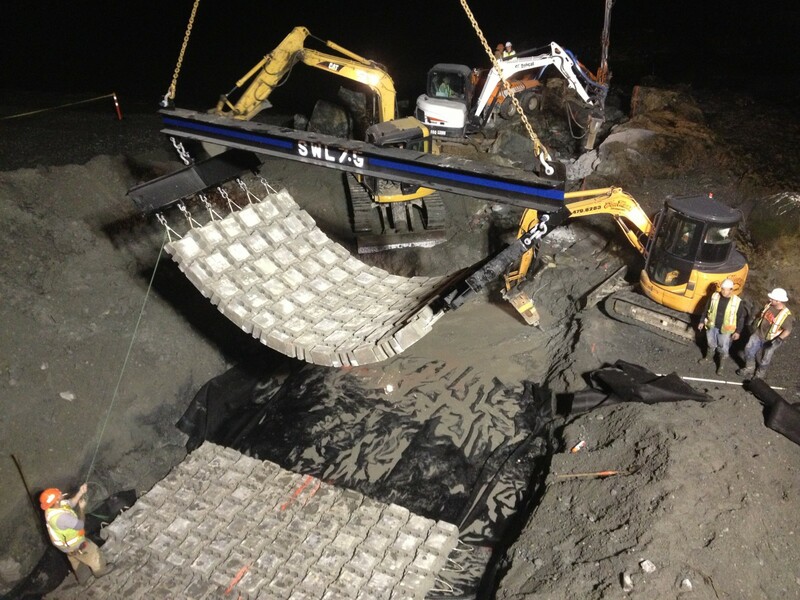 The work included adding new stringers and capps to the main structure, installing pile bands and pile braces and installing pile collars that were filled with grout. 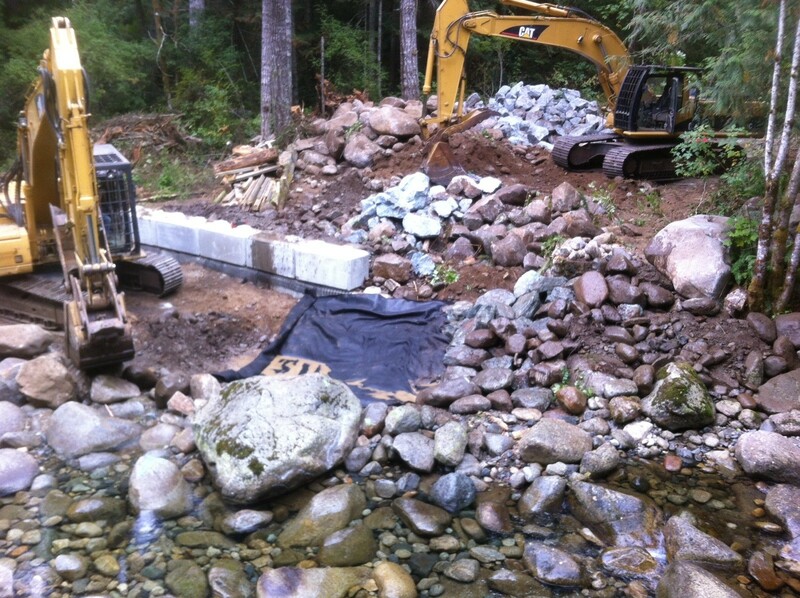 We were also responsible for the removal of and existing retaining wall and regarding the rock which had to be done in short tide windows. 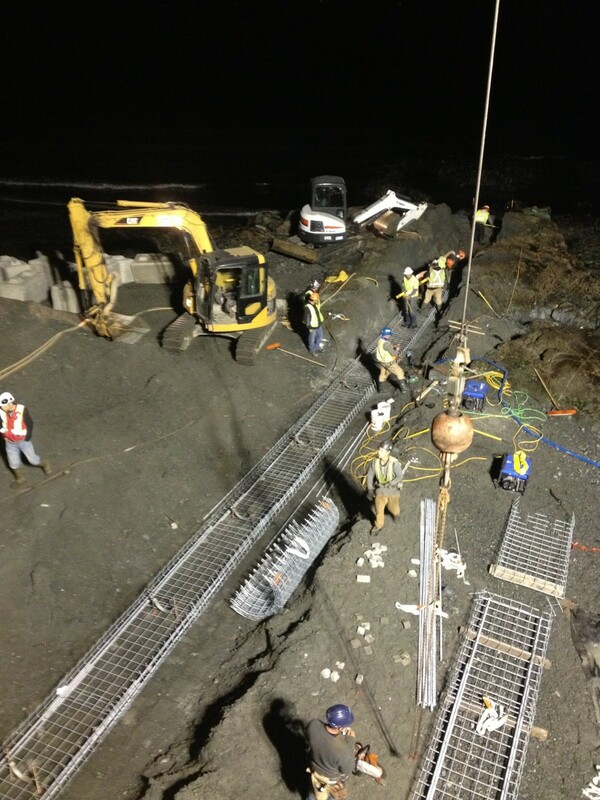 This work was completed ahead of schedule and on budget with no incidents to the building. 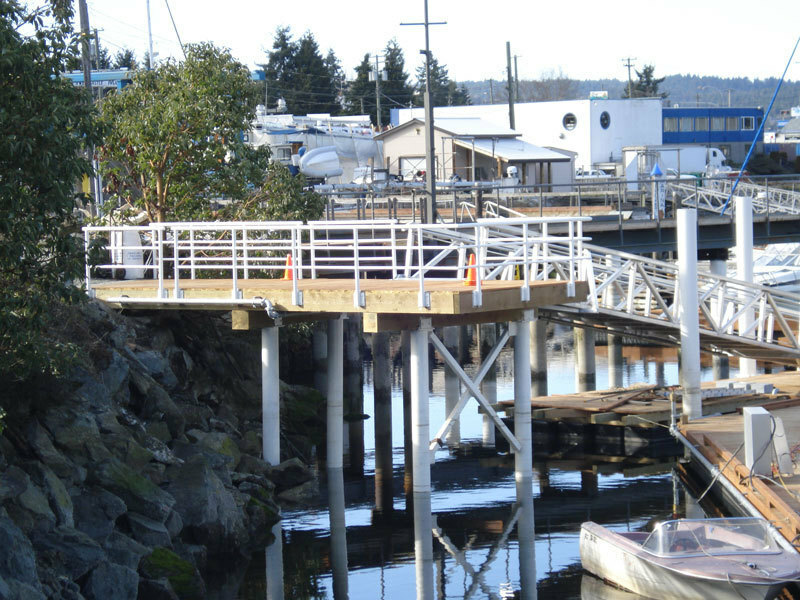 The village of Chase put out an RFP for the design build of a new wharf, Heavy Metal Marine was the successful proponent with the new design build option of precast concrete and steel piles. 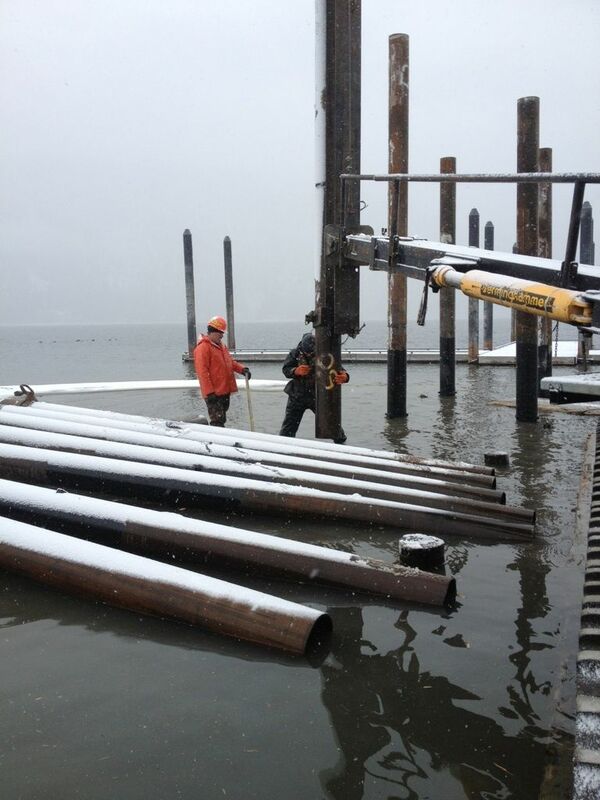 The wharf is 600 feet long and is on 110 steel piles. 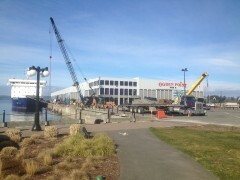 The new wharf was built to carry the load of maintenance trucks and was built wider than the existing wharf. 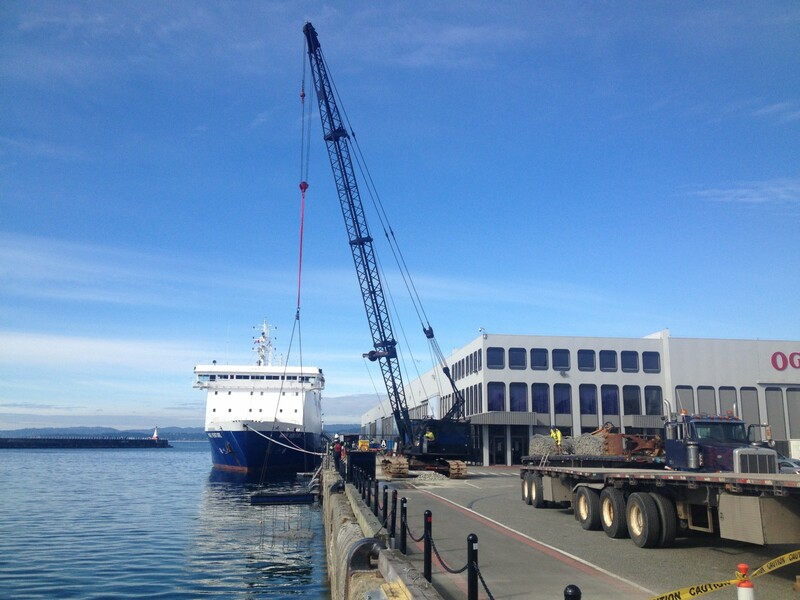 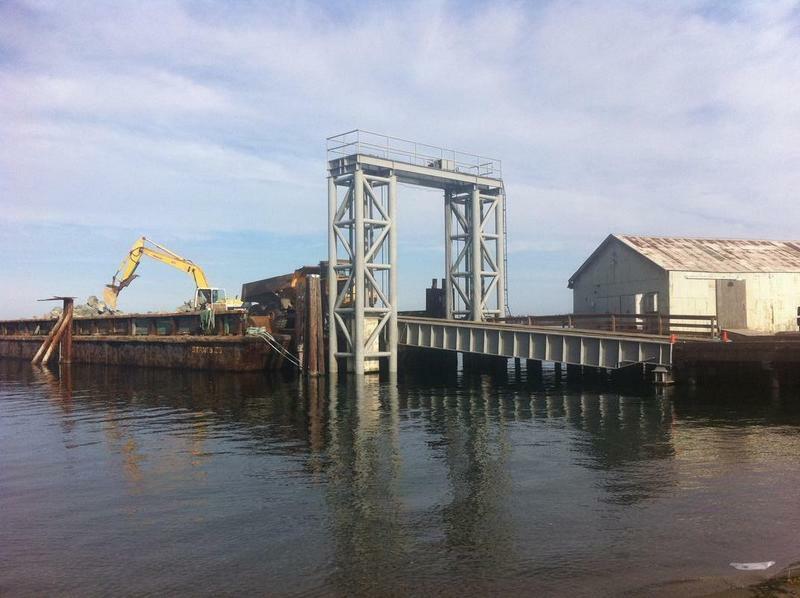 The wharf came in on budget and was delivered to the district one month ahead of schedule. 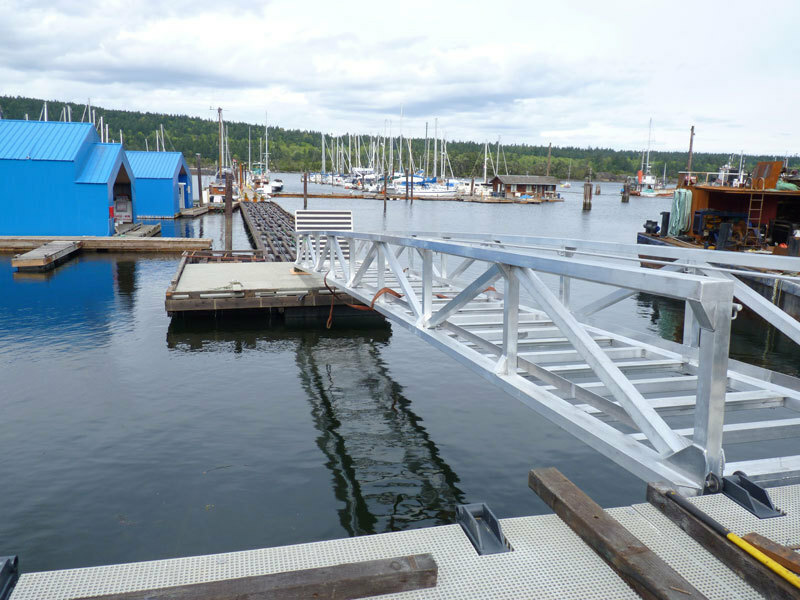 Heavy Metal Marine completed the supply and install of a 10m bride over Holland Creek for the town of Ladysmith, the work was completed on time and with no environmental incidents. 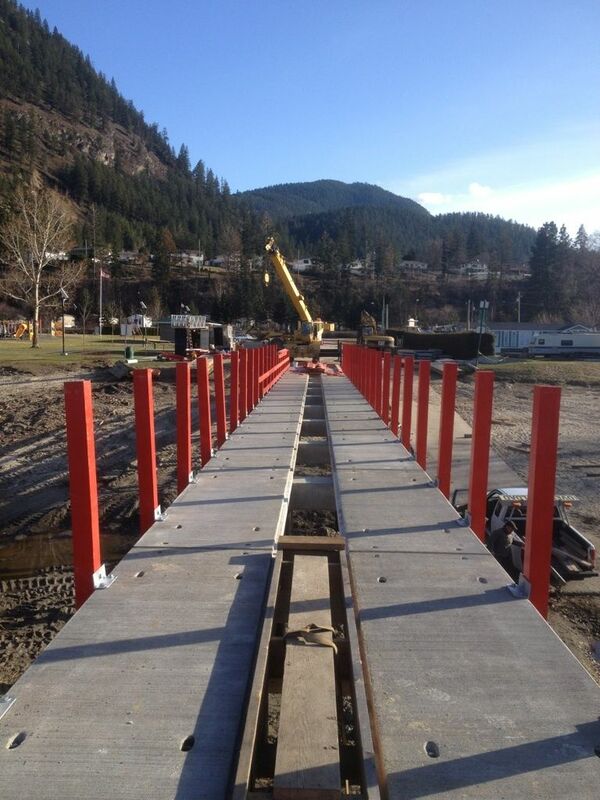 This was completed within a very tight workspace to due access restrictions and river. 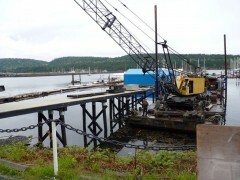 Heavy Metal Marine constructed the dock for the new mid shore patrol vessels for The Public Works of Canada, this worked consisted of construction of a 400' DPW heavy timber float. 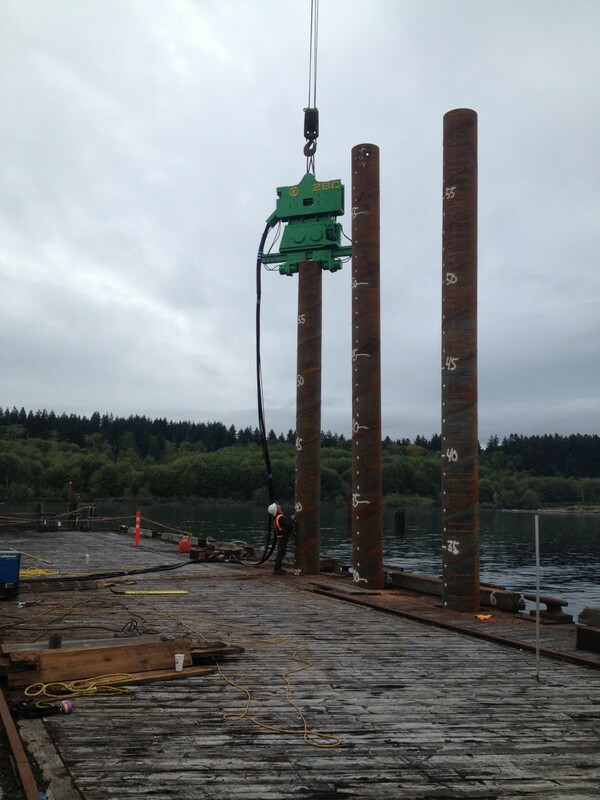 The float was held in place by 14 - 18'' steel piles each with a 4m rock socket. 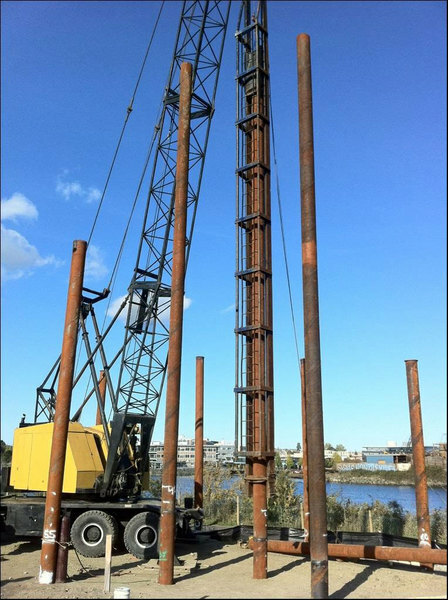 The approach consisted of precast concrete supported on lock blocks on the shore side and 12'' piles drilled through rip rap overburden till they achieved the engineered depth. 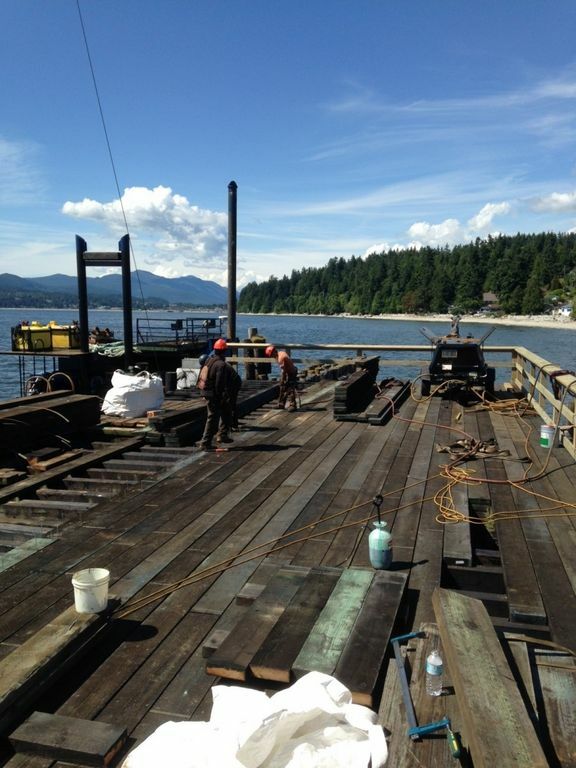 The work was completed on time and with no environmental or safety infractions. 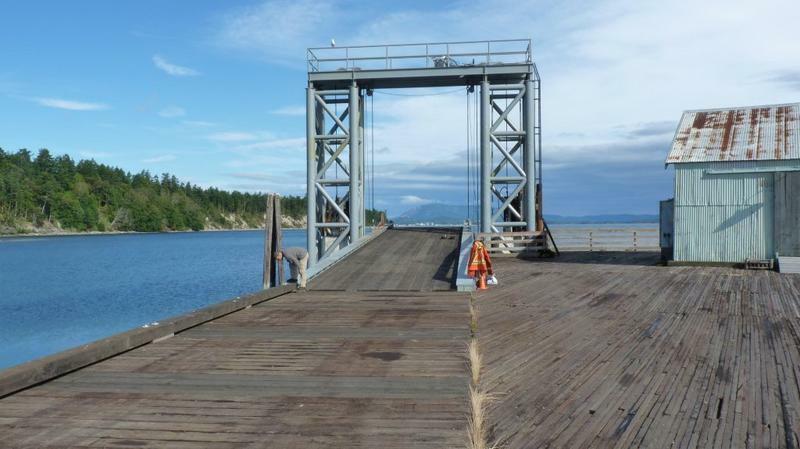 We were responsible for the design build of a new 75 ton load rated barge ramp and approach trestle for access to a private island. 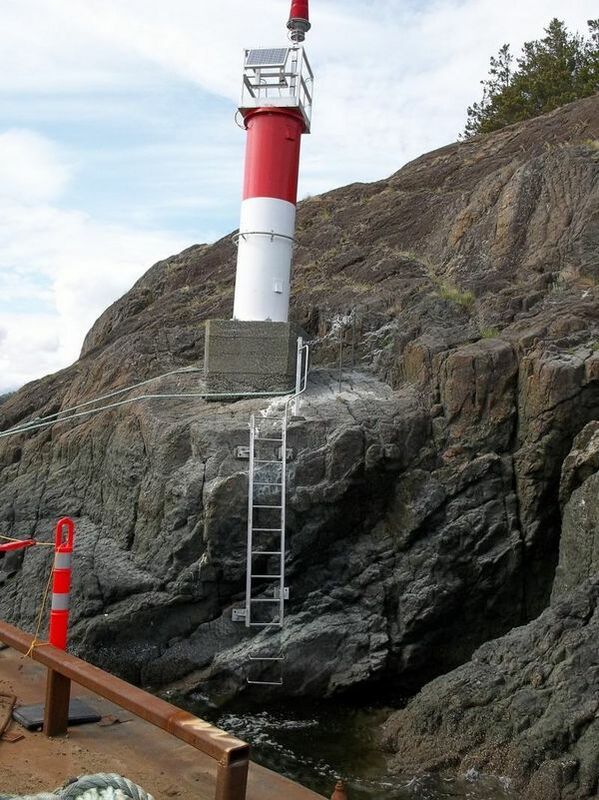 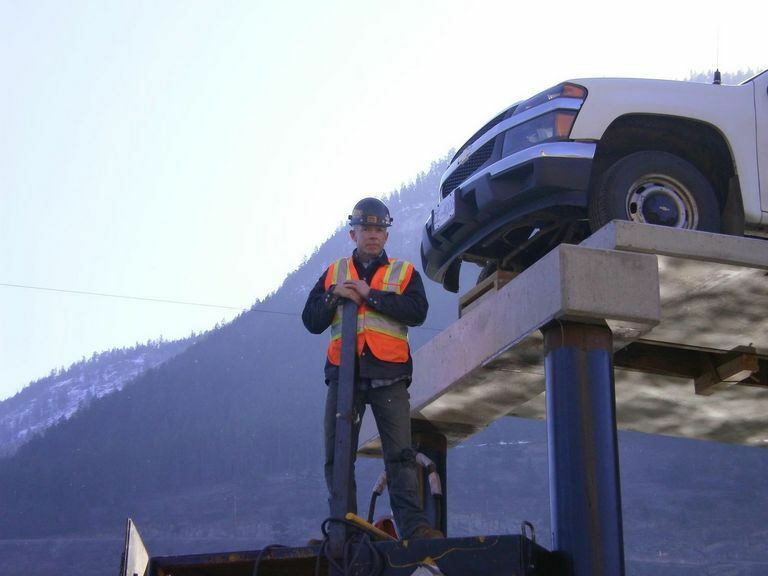 The work included the fabrication of the ramp and towers which were all painted with epoxy. 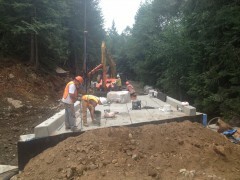 The approach required new steel piles and steel caps and a sheet pile retaining wall at the beginning to stop erosion of the approach road. 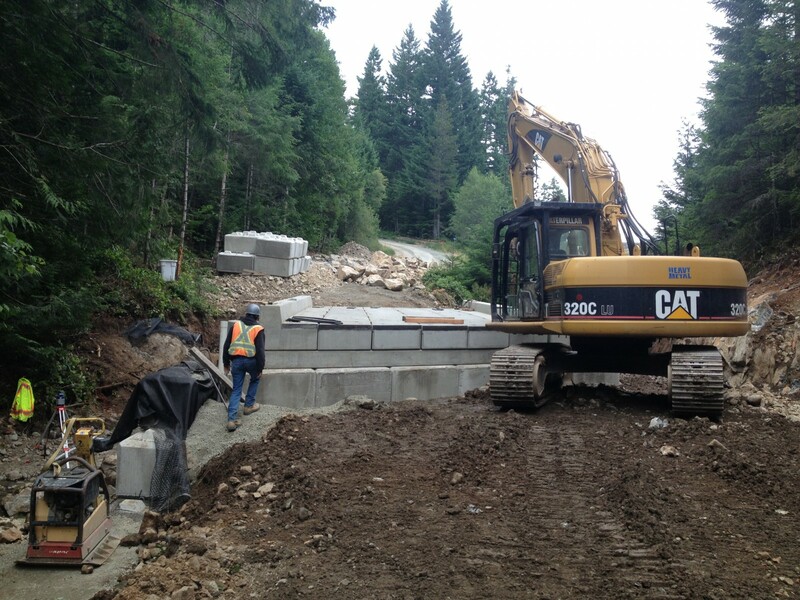 All work was completed in house and was done on time and on budget. 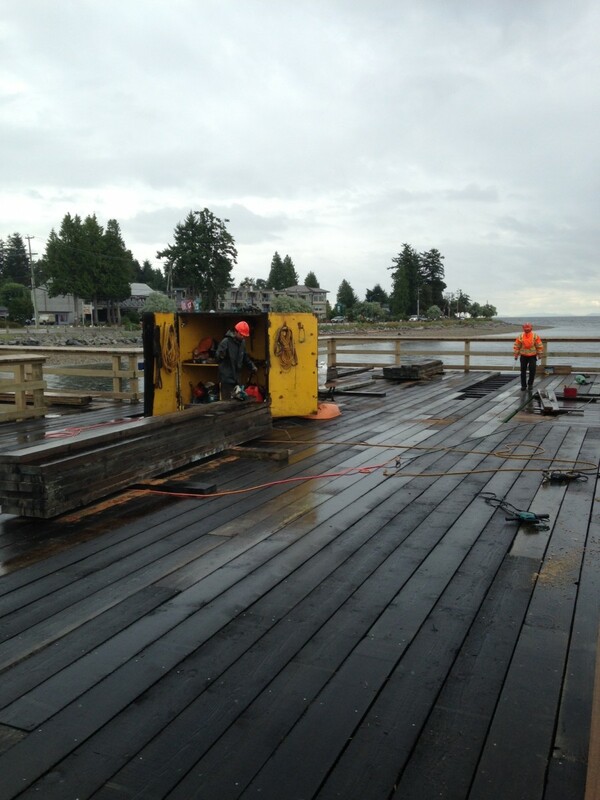 We were responsible for construction of the new timber walkway which included all piles beams and decking. 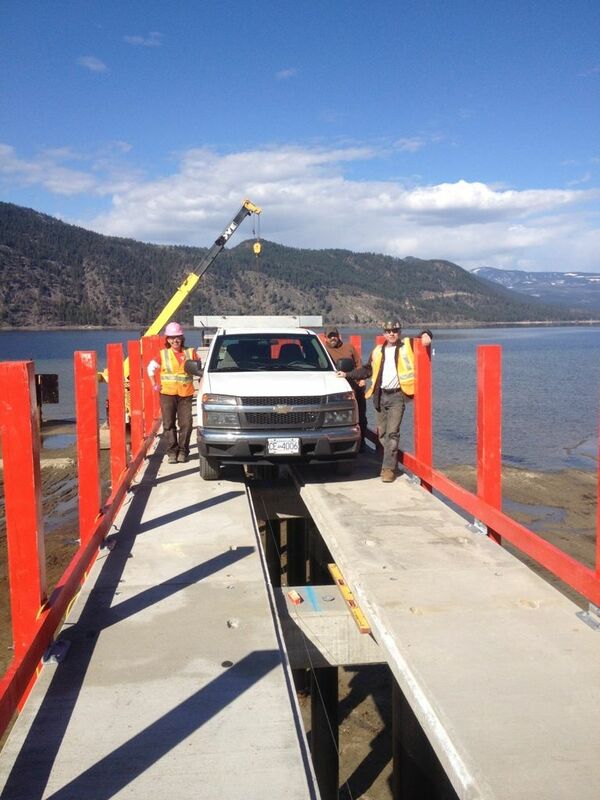 We was also responsible for fabricating the new aluminum ramp and construction of the new timber landing float. 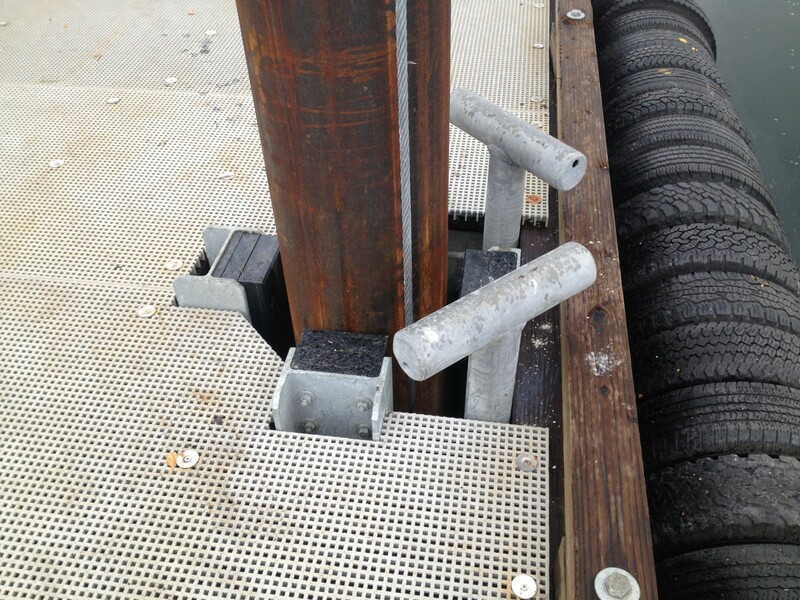 Also included was the associated steel mooring piles for the new floating visitor centre. 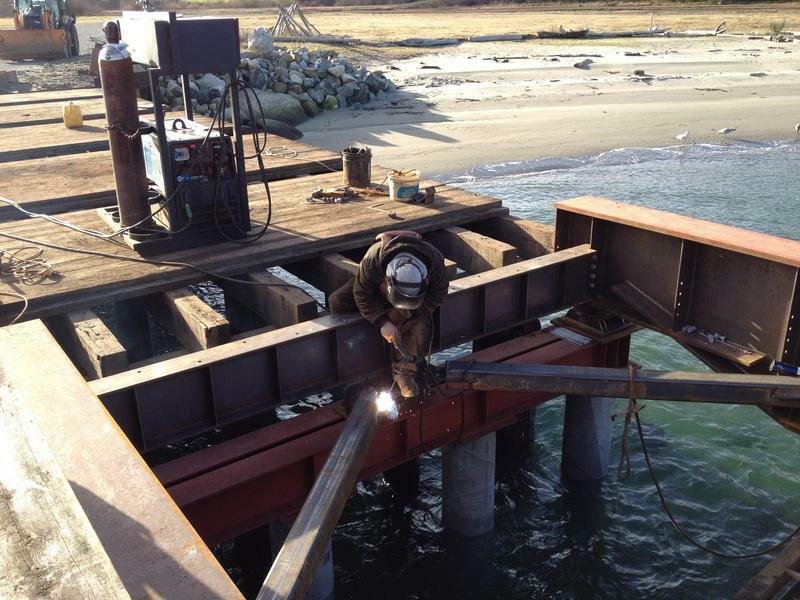 We were contracted to do a design build for a new 120' wharf structure. 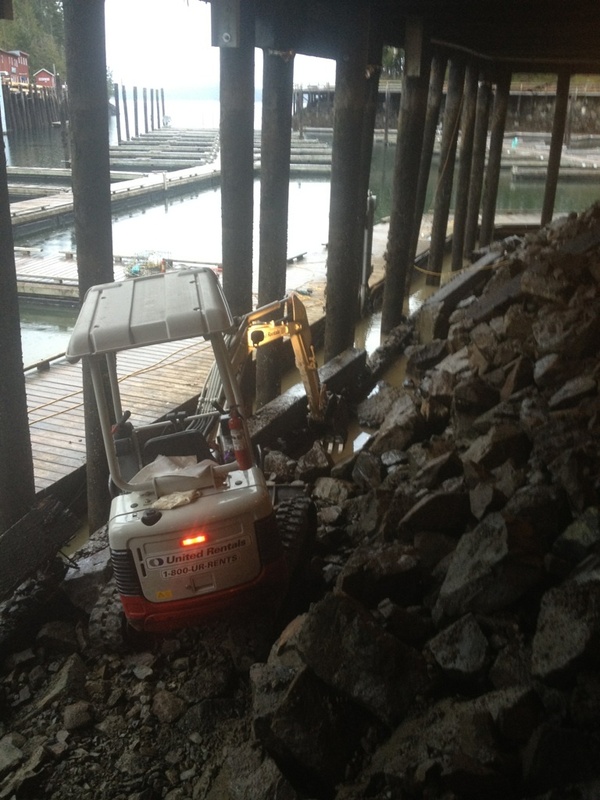 This needed to be capable of handling a 1 ton truck and with a ramp capable of handling golf carts. 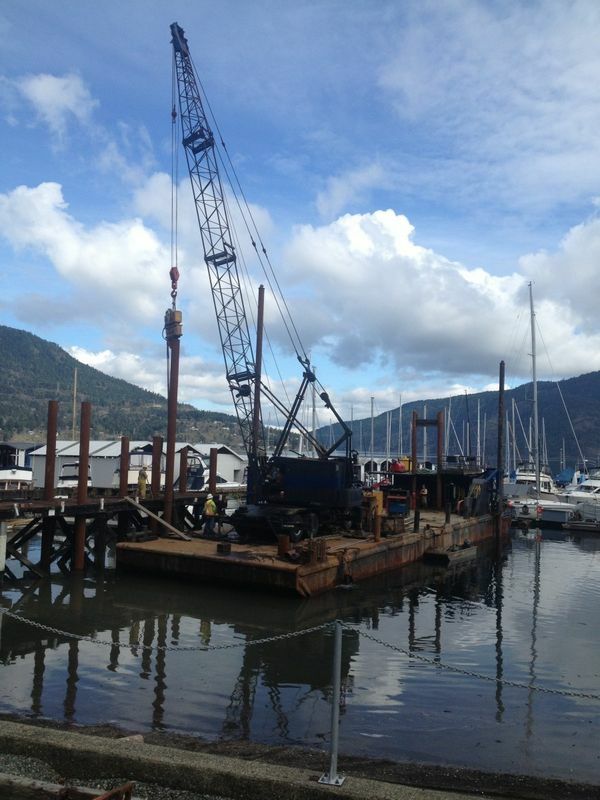 The new structure required the new steel piles to be drilled in with 3m rock sockets. 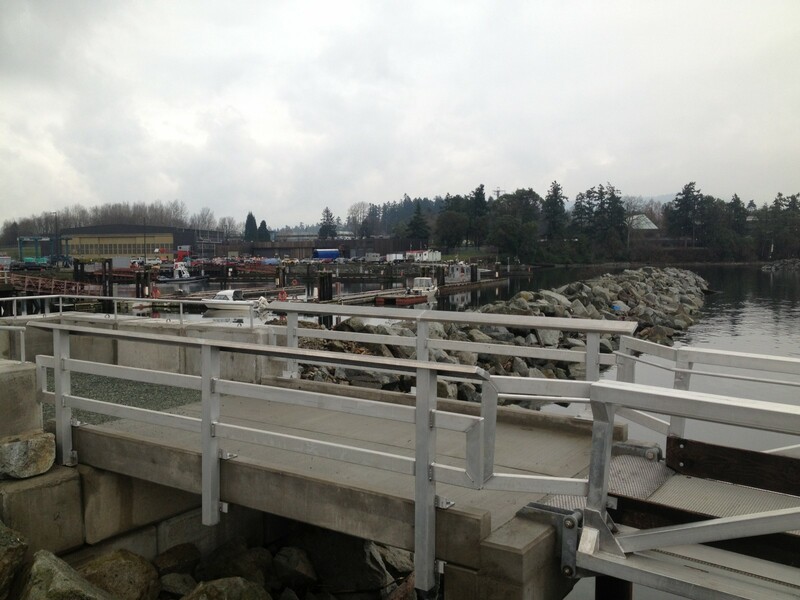 precast concrete caps and deck panels that were installed on top of them. 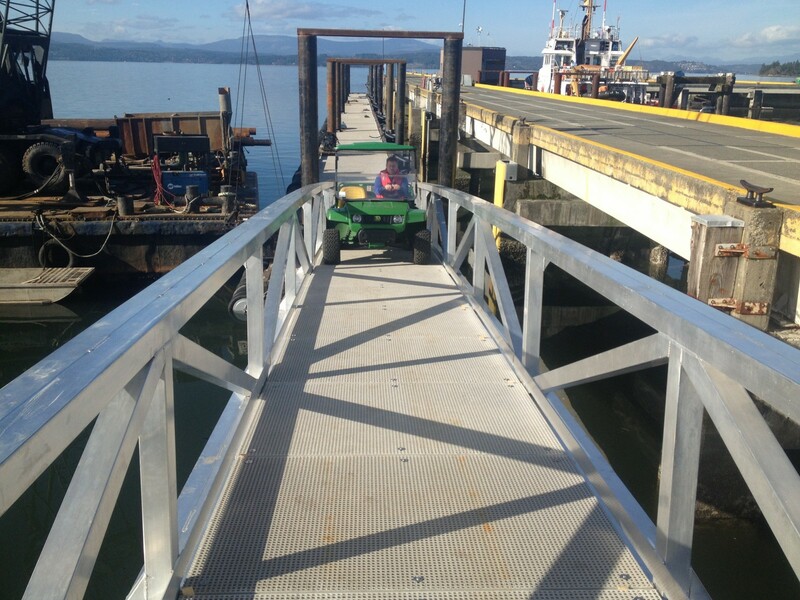 The walkway was finished off with an aluminum handrail. 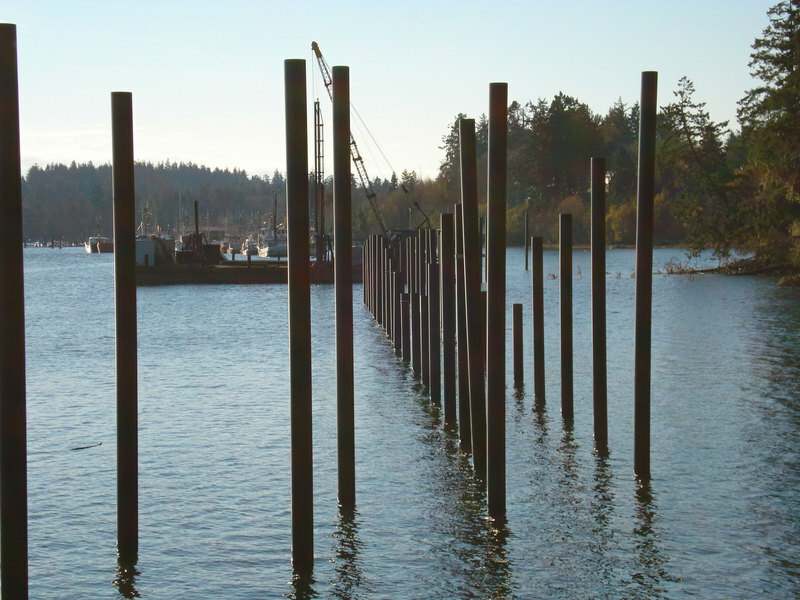 While onsite Heavy Metal Marine installed two 90' mooring piles with 3m rock sockets as well as installed new piles and a new wooden structure on the juniors dock. 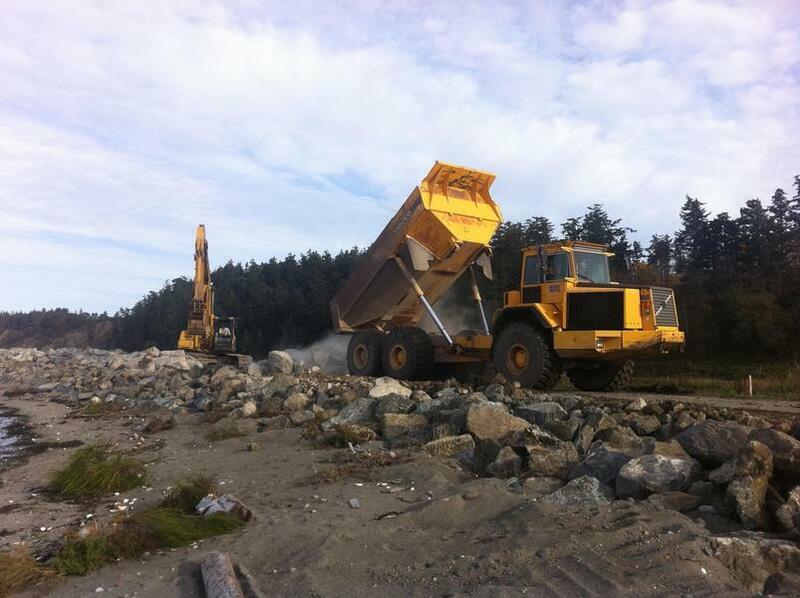 Heavy Metal supplied and placed 8,000 tons of rip rap to stop erosion of the Melanie Bay Spit, the work was done with the use of barges, rock trucks and excavators. 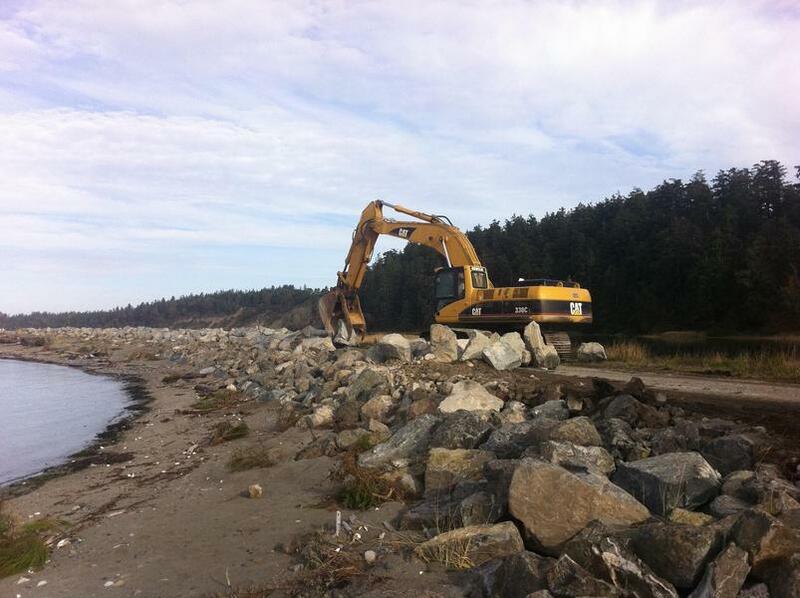 All work was completed do DFO requirements and sensitive habitat area were protected. 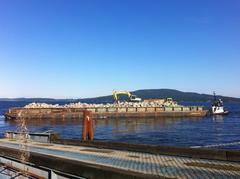 Heavy Metal Marine was awarded the scour protection work at Ogden Point for The Greater Victoria Harbour Authority. 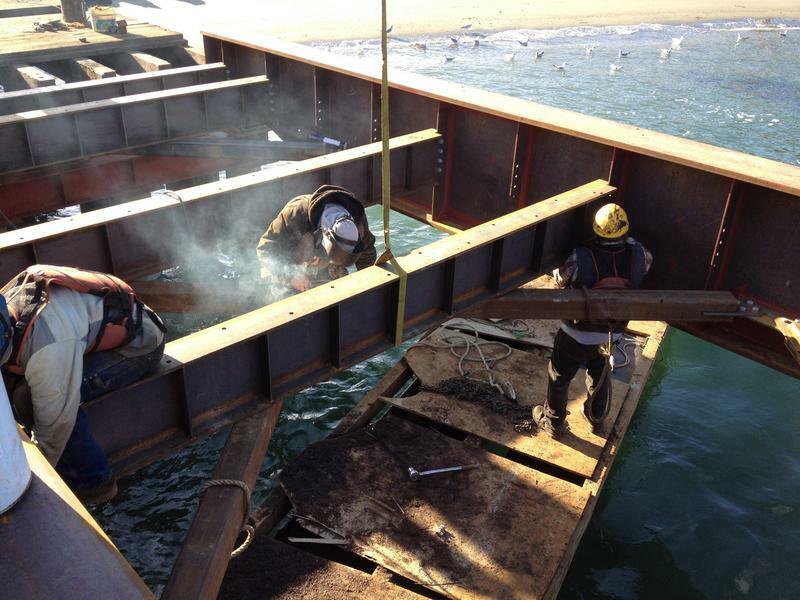 The project consisted of installing 100 gabion rock baskets and anchoring them to the caissons with steel plates and stainless chain and the work was completed with divers. 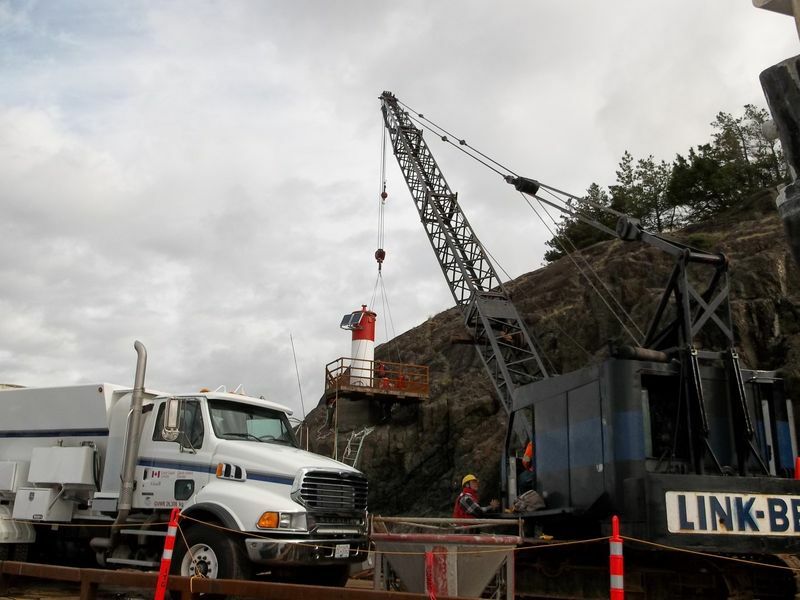 Other work for the project included supplying and installing 800 cubic meters of rip rap for scour protection and placement of leveling rock material. 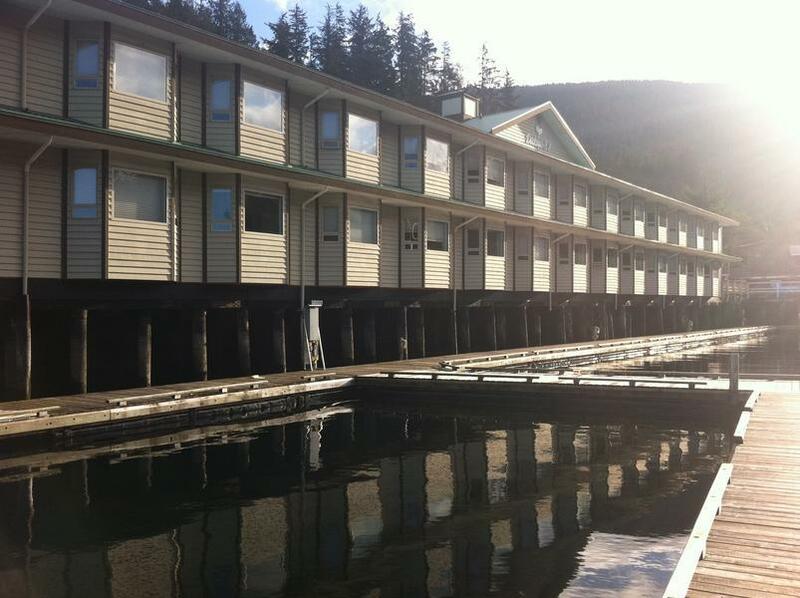 This project was completed in a tight time widow for the cruise ship season and was completed ahead of schedule with no environmental infractions. 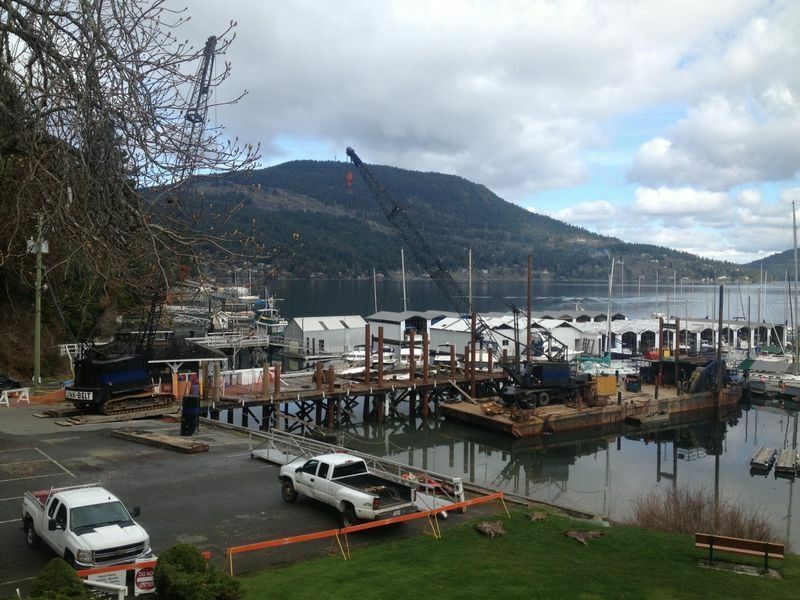 We were responsible for the Marina rebuild. 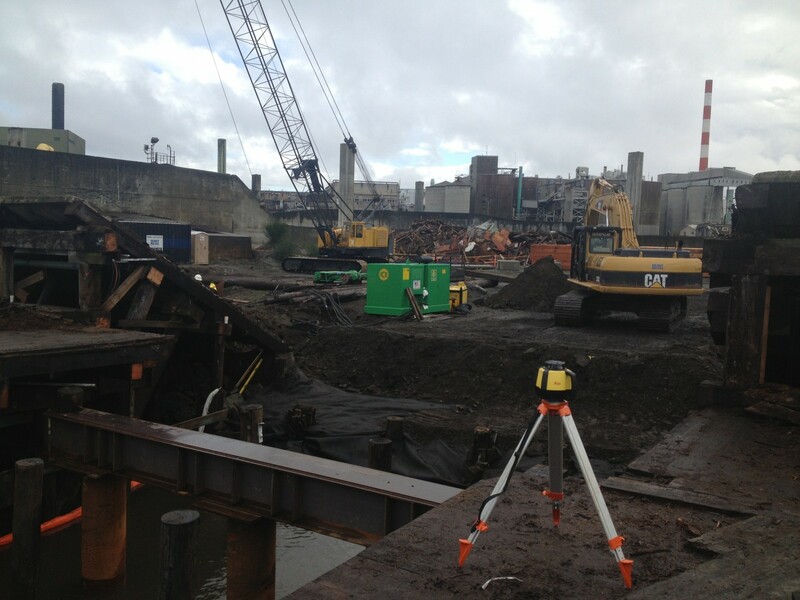 We supplied the material and equipment to remove 83 wood piles and replaced with new coated steel piles. 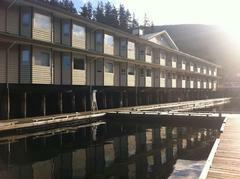 We also demolished the old building overhanging the water and was completed with no environmental incidents. 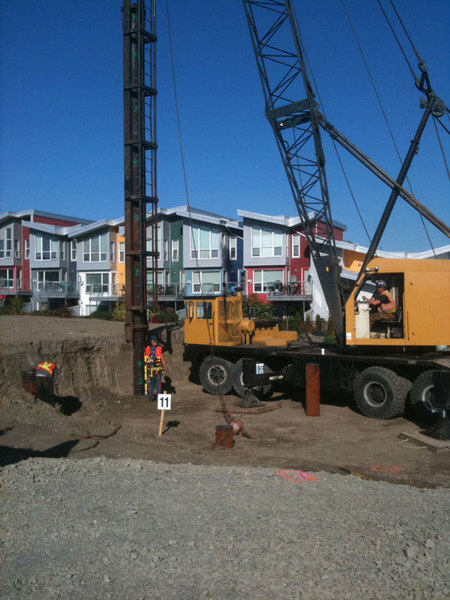 We were responsible for the supply and driving of forty two 12’’ pipe piles which were driven to bedrock for the new townhouse development being built. 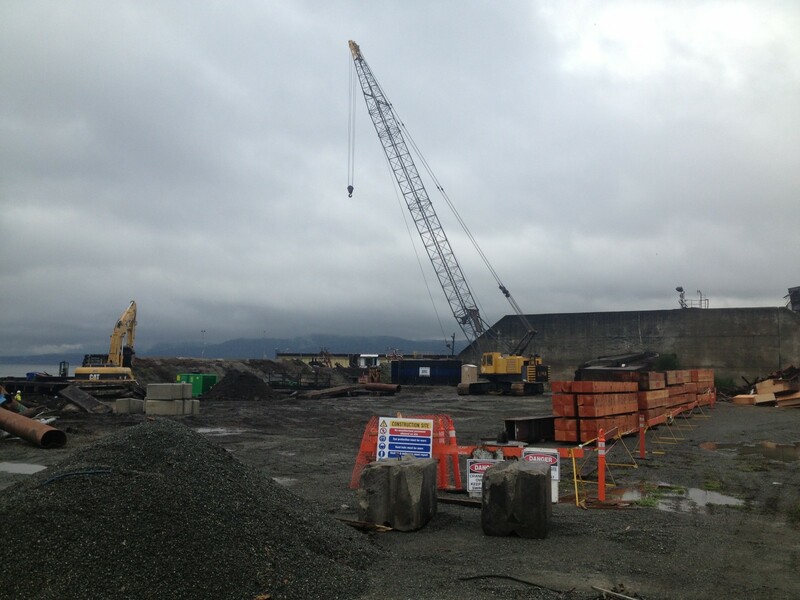 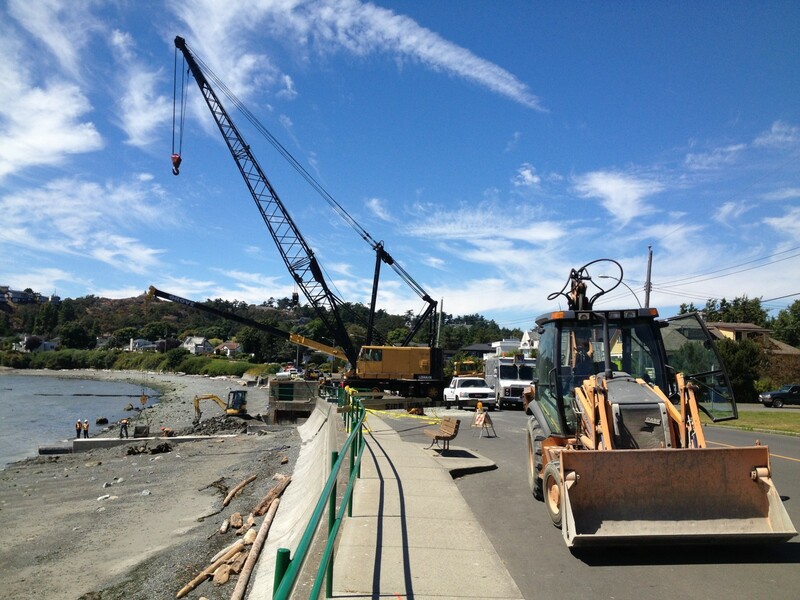 Heavy Metal Marine was awarded the contract to replace the existing outfall at San Jose Street for the City of Victoria, the project required tight time lines with the tide and coordination of a large amount of equipment and men working in a tight work area. 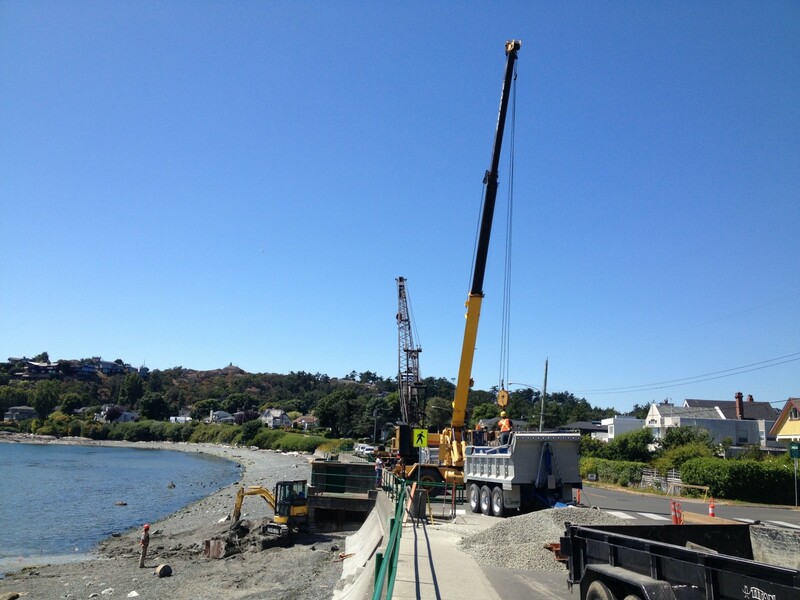 The project consisted of the removal of the old outfall pipe and the removal of rock to allow for placement of the new outfall. 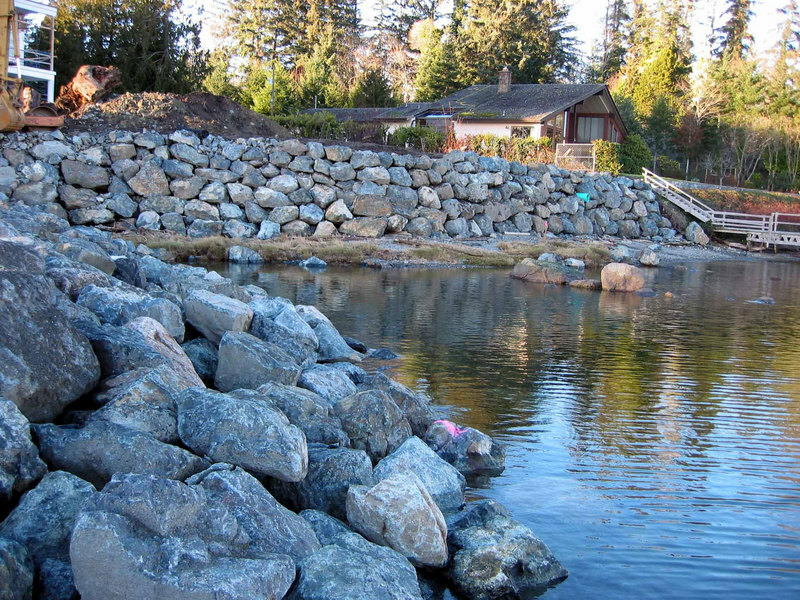 The new outfall required the use of ACBM mattresses throughout the softer beach area and rock anchors through the rock portion. 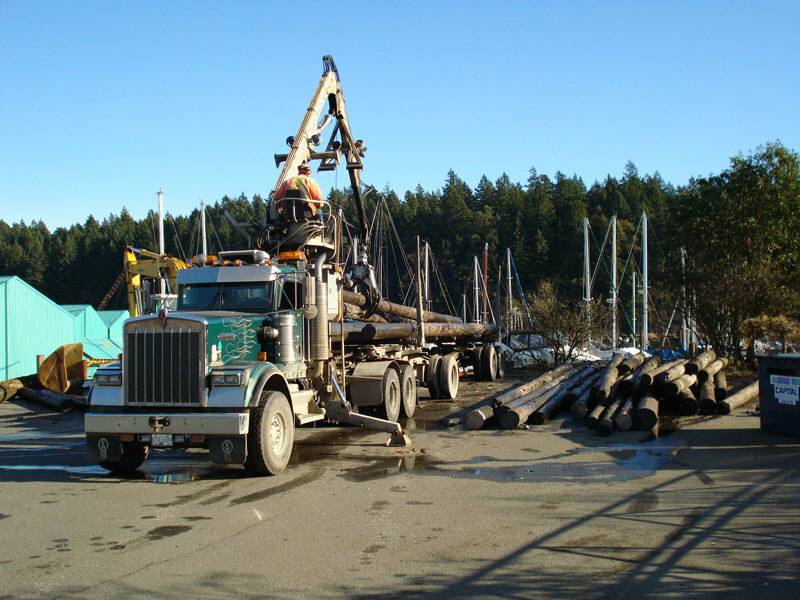 After preparation of the site, the installation of the outfall, precast concrete pipe and concrete pumping was completed in one tide shift with no environmental infractions and the outfall was completed on time. 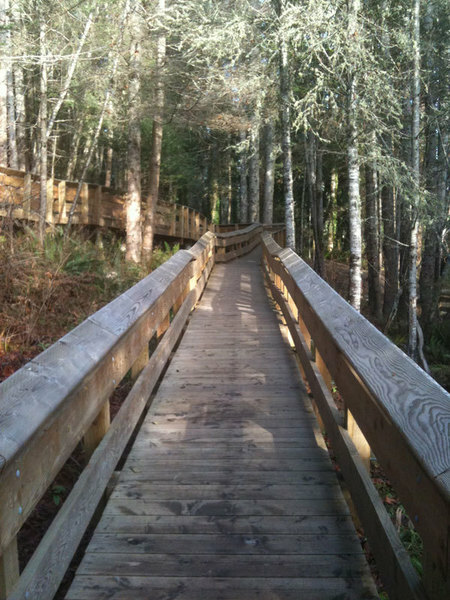 We were responsible for the designing as well as building the boardwalk for The District Sooke. 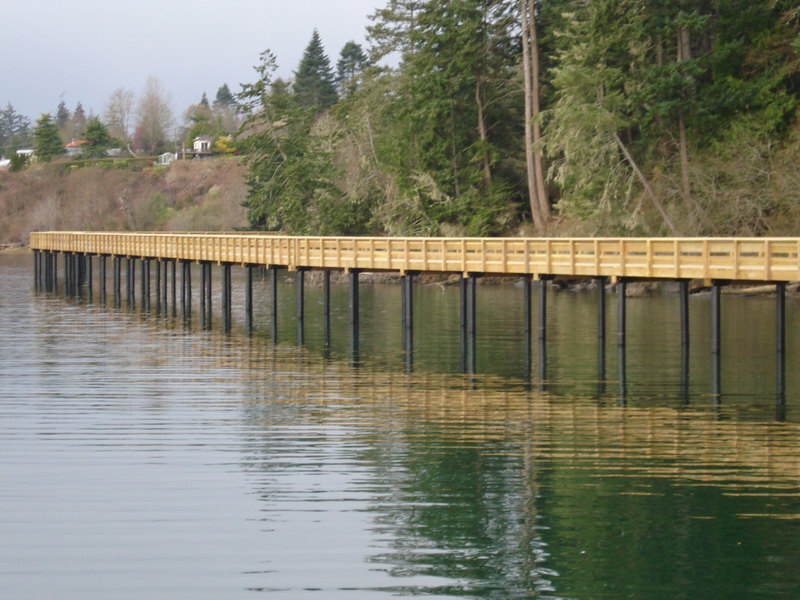 The boardwalk is 1,200’ long and is constructed on coated piles. 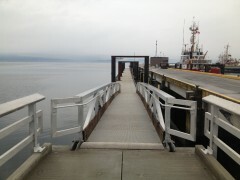 This boardwalk was completed with a tight time schedule to meet the fisheries window. 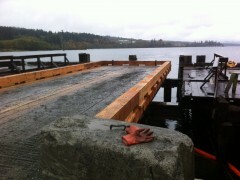 We designed and built the Boat Ramp in Sooke, BC. 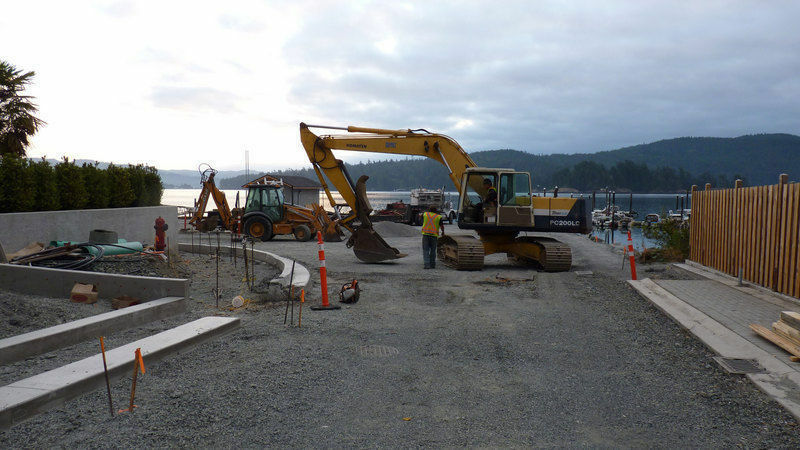 Working closely with The District of Sooke and The Department of Fisheries and Oceans we were able to build the Boat Ramp with minimal disturbance to the surrounding habitat. 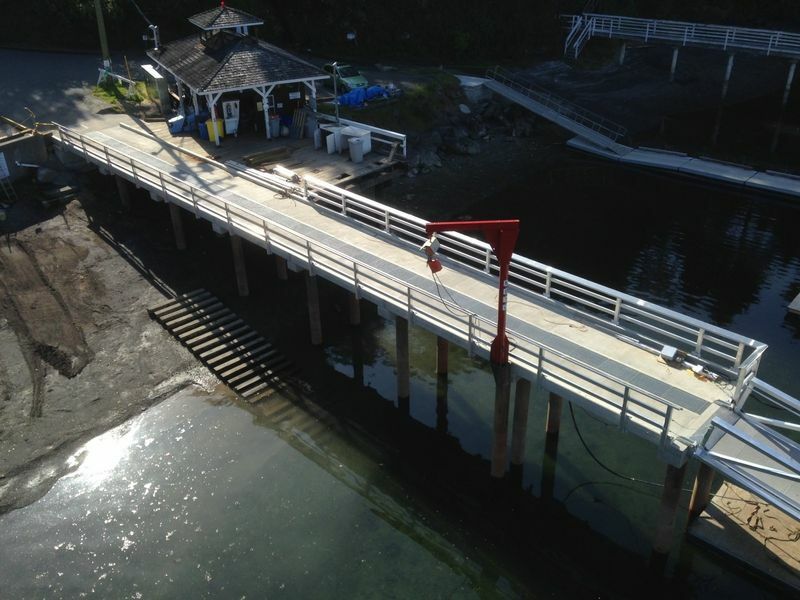 We constructed a 200’ amenity pier for the public and a new location for the volunteer Coastguard. 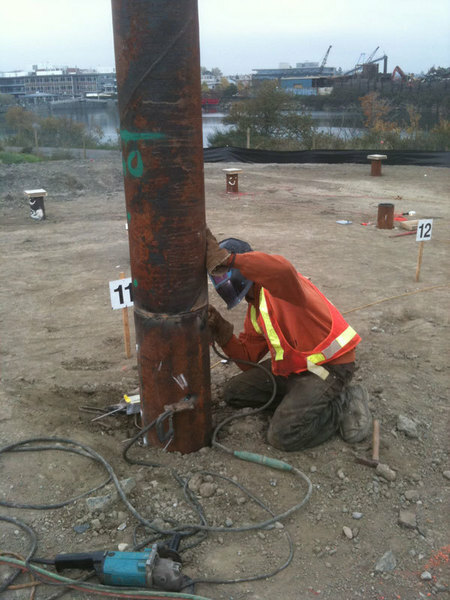 As well we were also responsible for all civil site services including underground fuel tank installation for a future marina development. 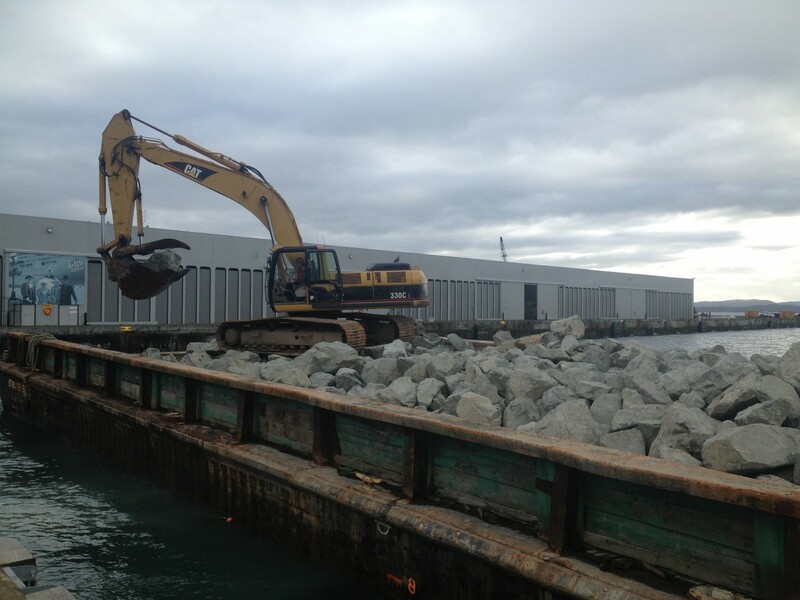 Heavy Metal Marine was awarded the St. Patrick Street Outfall the project consisted of a new storm outfall for the District of Oak Bay. 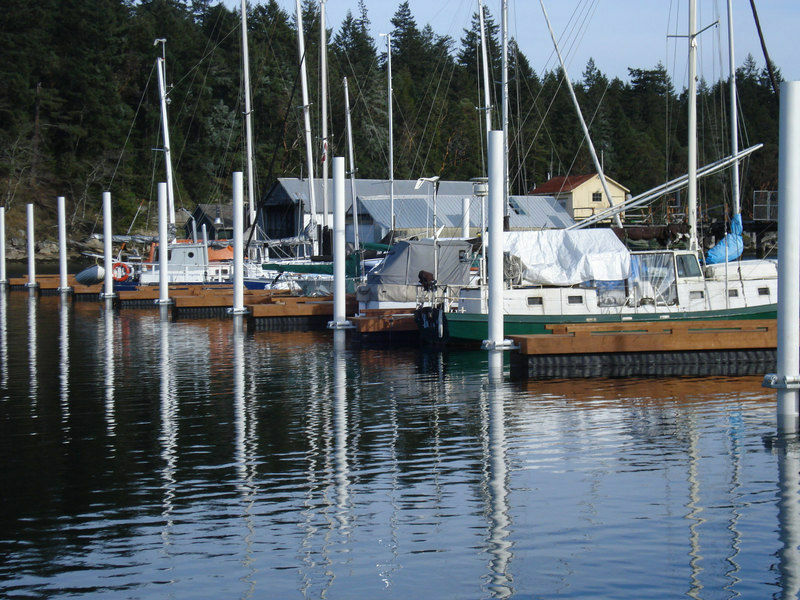 Heavy Metal Marine supplied an alternative design with its tender for a precast option and was awarded the project for it based on its better quality control and lower impact to the inter tidal area. 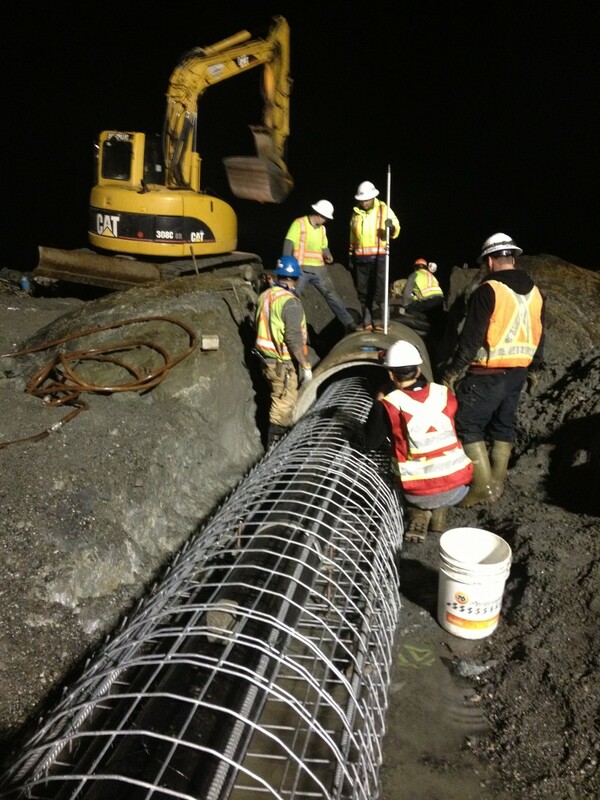 The project consisted of placing 28 ton pieces of precast pipe as weight for the new 28'' HDPE outfall pipe. 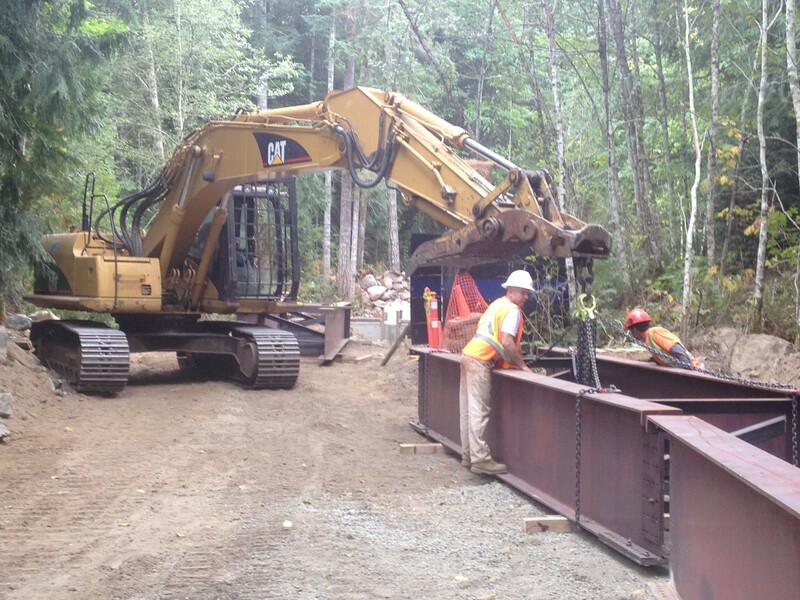 The project was completed on schedule and with no environmental infractions. 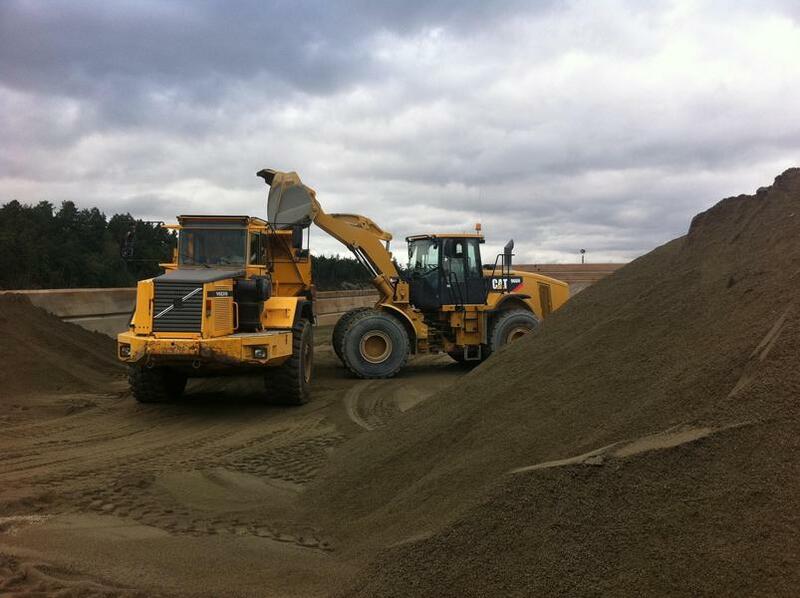 Heavy Metal Marine Ltd. is proud to take part in environmental efforts including the restoration of approximately 3 hectares of prime salt marsh habitat on Mariner’s Island which is located south of the Western Forest Products (WFP) Mill Pond in the Cowichan-Koksilah Estuary. 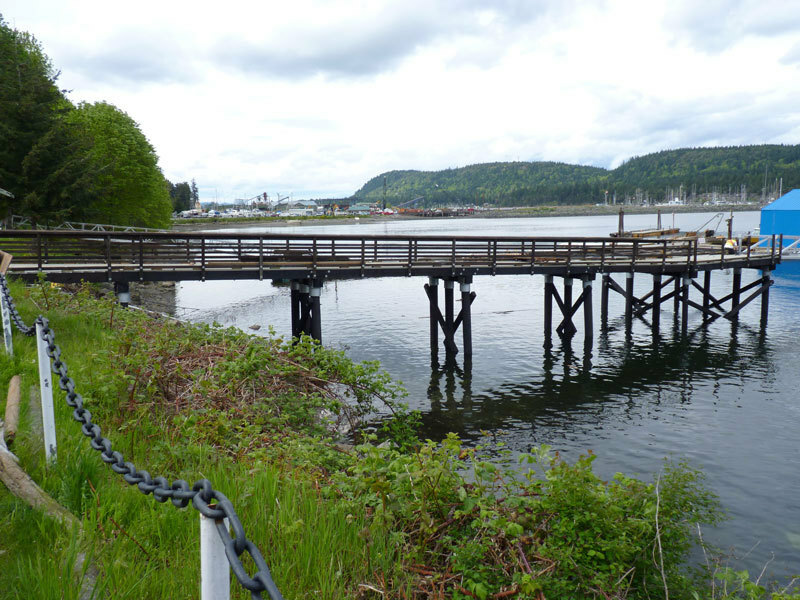 The primary objective of the project was to remove the over-abundance of logs and wood debris that have covered the marsh areas, inter-tidal pools and small water channels preventing the natural growth of marsh and riparian vegetation in the estuarine environment.